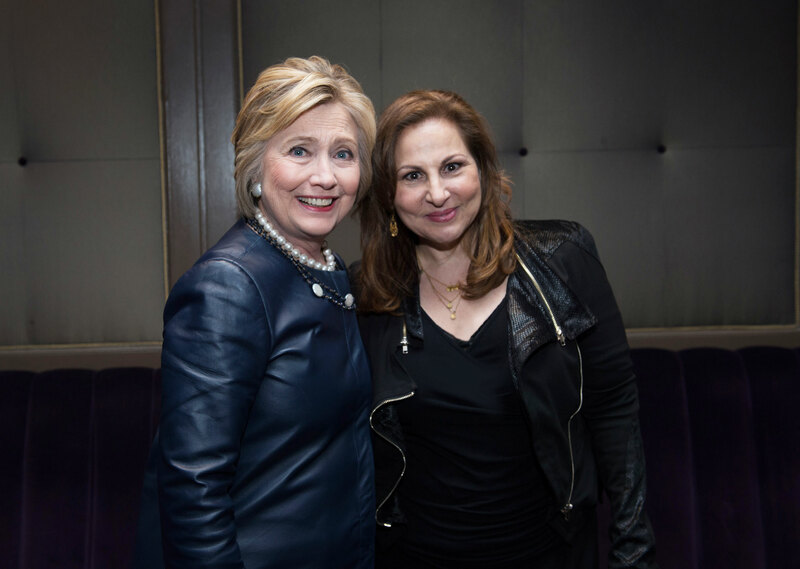 Kathy Najimy is known for her memorable performances in over 25 films and several TV shows and Broadway productions. She is very proud to have been named Ms. Magazine Woman of the year and received the Lily Actress/Activist Award in NYC from Gloria Steinem. Kathy is currently executive producing a television series based on The Women’s Movement and Ms. Magazine, and has created Broadway show idea about Gloria Steinem that will be produced by Lincoln Center Theater in 2017. For her over 35 years of AIDS and LGBT activism, Najimy has been honored with the L.A. Shanti’s Founder award as well as the LA Gay and Lesbian Center’s Distinguished Achievement award. She is an enthusiastic supporter of women’s and girls’ rights, AIDS awareness, animal rights, a woman’s right to choose, and frequently travels around the country to keynote speak on these issues. She is currently helping helm the movement to abolish the New York City carriage horses. Najimy has lent her support to a variety of worthy organizations that include: NYClass, Project Angel Food, APLA, GLAAD, Human Rights Campaign Fund, Broadway Cares, Equity Fights AIDS, The Ms. Foundation, AMFAR, Planned Parenthood, Voters for Choice, and NARAL. As a proud Lebanese American, she has received awards from the ACC and The ADC, and been honored with the Arabic Comedy Lifetime Achievement Award. She has posed twice for People for the Ethical Treatment of Animal (PETA)’s popular campaign “I’d Rather Go Naked Than Wear Fur,” and, in 2000, she received PETA’s Humanitarian of the Year Award from Sir Paul McCartney. Najimy has been published in The New York Times, as well as several national magazines. She contributed a chapter to the book The Choices We Made, which was released on the anniversary of Roe vs. Wade. She contributed a monologue to “Standing on Ceremony – The Gay Marriage Plays.” On tape, she voiced Wally Lamb’s best-selling novel She’s Come Undone. She is tournament champion of Bravo Celebrity Poker Showdown, winning $100,000 for V-DAY (dedicating to stopping violence against women) and also won another $100,000 for at-risk teen girls as the first champion of the CBS Game Show Marathon, From weakest Link she won $55,000 for the Campaign to stop gender apartheid in Afghanistan and $10,000 to PETA from Food Network Celebrity Challenge. A first-time entrepreneur, Najimy successfully created, designed, and sells a garment for women: Ch’Arms nationally and abroad on home shopping and ecommerce venues. In 2016 Kathy was honored to travel the country as a surrogate speaker for Hillary Clinton. Kathy lives in NYC with her husband Dan Finnerty and their 20-year-old daughter singer/songwriter/actor Samia. Kathy pointed to how far the LGBT community has come since the 1970s, when she first became involved.